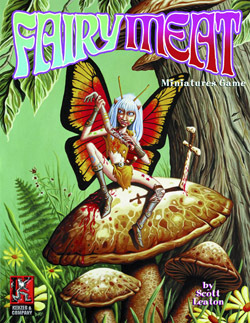 Fairy Meat is a tabletop wargame game played at 1 to 1 scale published by Kenzer & Company, written and designed by Scott Leaton. A short scenario for “Fairy Meat”. Can your fairies survive as the grass gets cut around them. From Ragnarok issue 33.